l It has small contour design, which does UV spray finishing for the whole body. It is very fashionable and wearable and matches with all kinds of portable tools. 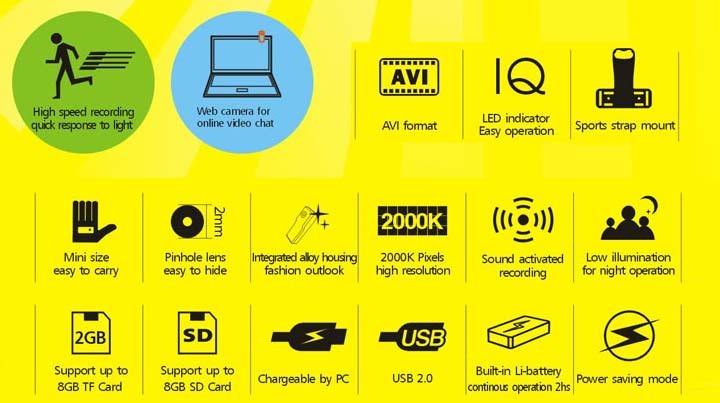 l Support PC camera and chatting function. l Support AVI video format. 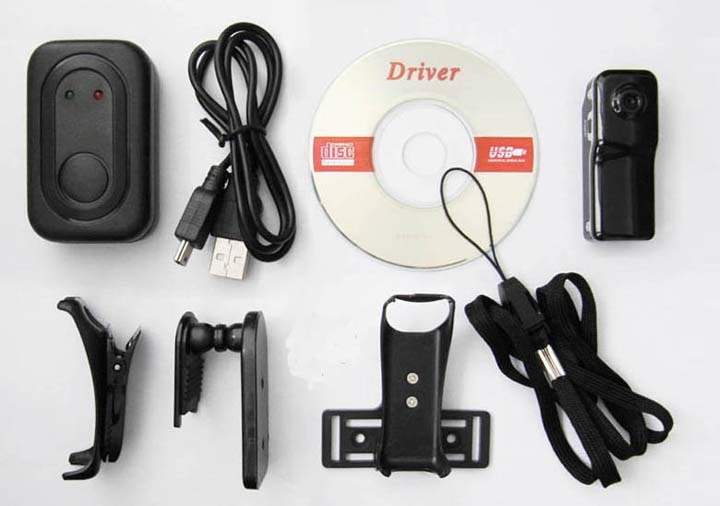 l It can carry out high definition image recording under low illumination. l Support 30 fps for 720*480 and 320*240 video shoot and output. l Support USB1.1 and USB2.0. l Build-in lithium battery which can make a video more than two hours, the standby time is up to 250 hours. Note:Pls feel free to contact us if you want to buy a great deal. pls tell us what color you want when u place an order!We have two colors in stock: white, black.